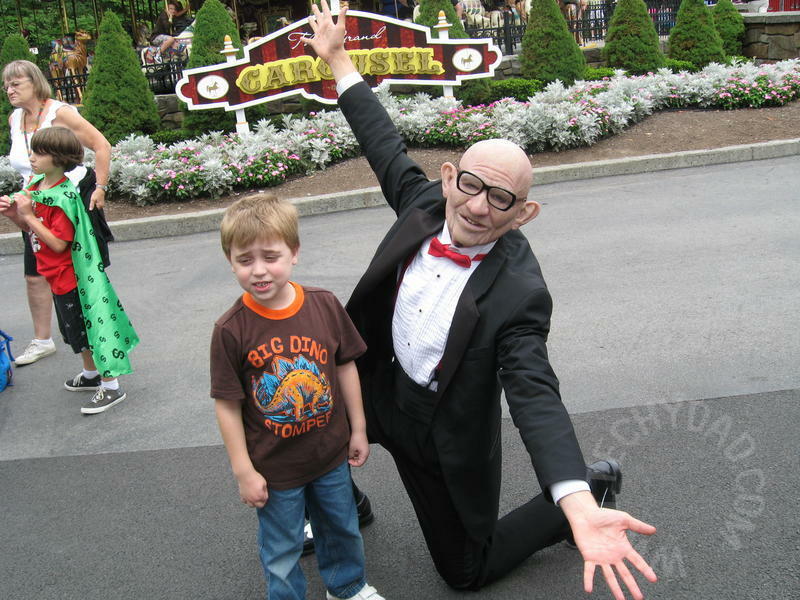 After the show, NHL went up to have his photo taken with Mr. Six. He had gotten similar photos taken before, but this guy really got into the role. So, if your week had a theme song, what would it have been? I gotta feeling (Black Eyed Peas).. it was also last week’s theme song. One of These Nights by The Eagles……as I’ve had a crazy busy week and I have been trying to get a chance to finish some projects but all kinds of OTHER THINGS have been over-riding my plans! ARGHHH! I’m Only Sleeping by The Beatles. I had so much to get done this week, but I was so exhausted and I just wanted to sleep all day! Battle Hymn of the Republic, due to the political battles going on just now . . . theme of the entire year. Amazing Grace. That’s really all that’s helped me get through the last few weeks. Good one.It would be some oldie for sure.A song from The Guess Who is top on my list now. …it was back to school here this week. I don’t know that it would be the theme song, but this week I’ve had Blue Zook Train by Choo Choo Soul stuck in my head. .-= Buffie´s last blog ..Aloha Friday #98 =-. Happy days are here again LOL. I’ve had a great week. 2 pina coladas. That’s the kind of week I have had and I am ready for them. I think mine would be “Are You Ready for Some Football” since college games are starting up! Oh man – anything that has to do with being busy – unfortunately right now, I can’t think of a good song. 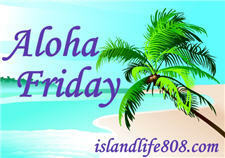 .-= Denise ´s last blog ..Aloha Friday – Week Recap =-. 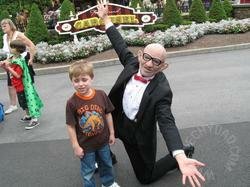 .-= Mama Dweeb´s last blog ..Aloha Friday =-.